I got this from the bus lot [on Disposal Road yesterday] around six pm. 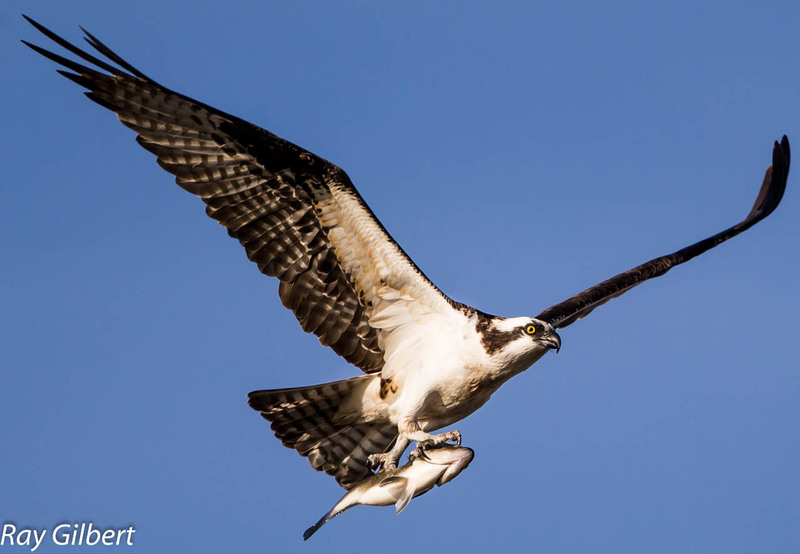 Saw two Ospreys this morning on the nest across from the Swing Bridge at Laurel Hill. 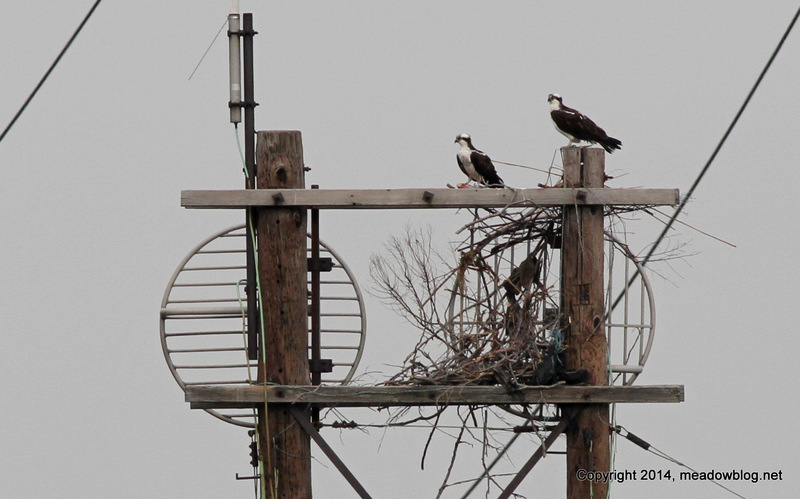 This was the nest destroyed by Hurricane Sandy. Looks like they are rebuilding. 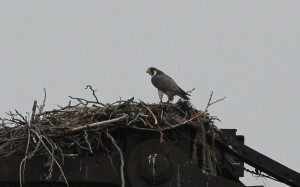 A banded Peregrine Falcon was sitting in the Osprey nest on the Swing Bridge but was too far away to read the bands. A second Peregrine was dining on a small bird on the bridge as well.